Scope of Activity: Lemi Trafo produce oil immersed and cast resin power transformers with rated power in range from 25kVA up to 3150kVA used in the electricity distribution networks. Our company has at its disposal the necessary specialists and technological equipment for the production of modern transformers and has acquired the following certificates ISO 9001:2015; OHSAS 18001:2007; ISO 14000:2015. 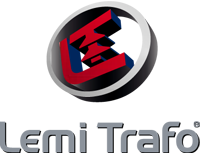 The transformers of the company Lemi Trafo have successfully passed type and special tests in famous laboratories like: CEZI in Italy and ICMET in Romania. References: CEZ Group, EVN Bulgaria, E.ON Bulgaria, RISK Engineering, PAVEL and SONS Electric, Intercomplex, companies from Germany, Sweden, Slovenia, Denmark, Romania, Greece, Macedonia, Latvia, Lebanon, Iraq and etc. Foreign partners: D.A.L.I.-M.N., Tufvasson Tesch AB, Eurolaite OY, EG System, Exprom sarl, BAT PROING d.o.o.